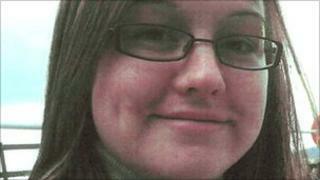 Missing person posters have been issued in a bid to help trace a young woman from Inverurie. Police said they were becoming increasingly concerned for 25-year-old Catriona Conway. She went missing on 6 December, and has since reportedly been seen in the Aberdeenshire town's Tesco store. Grampian Police Det Insp Neil Cameron, appealing for sightings, said the missing woman could have a tent and may be sleeping outdoors.